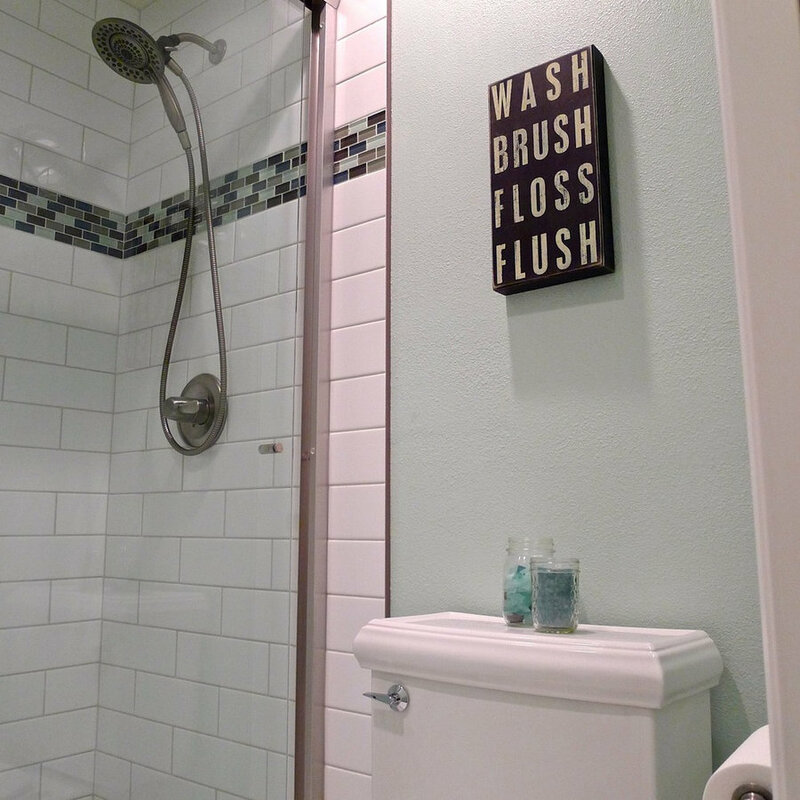 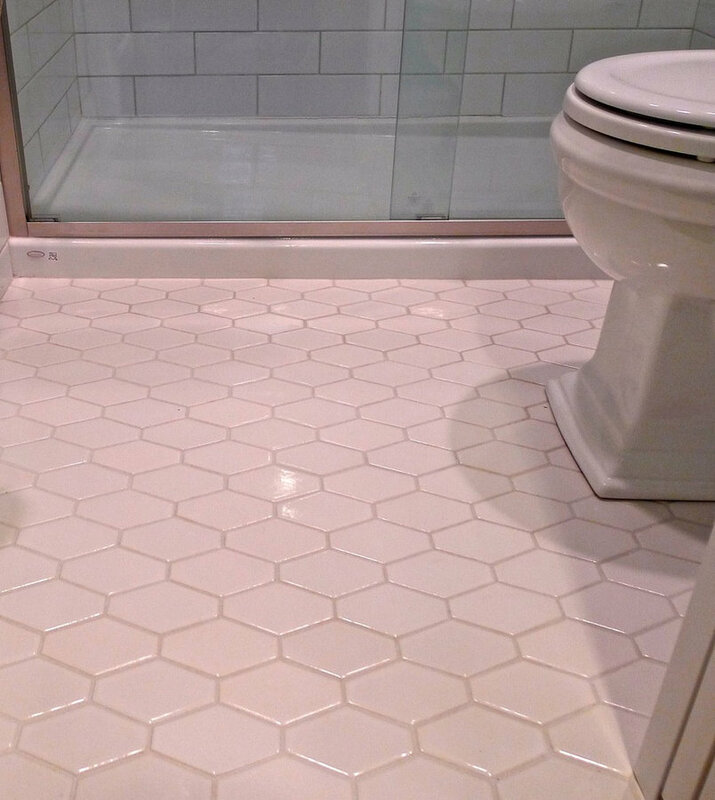 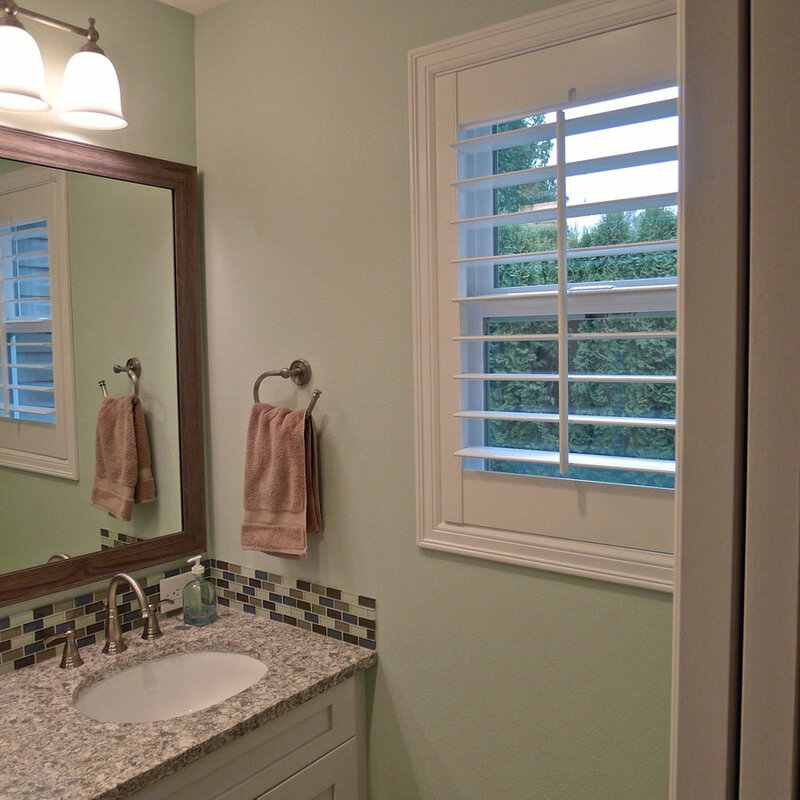 The homeowners not only wanted to update the look of their bathroom, but also reconfigure it to better accommodate their growing children. 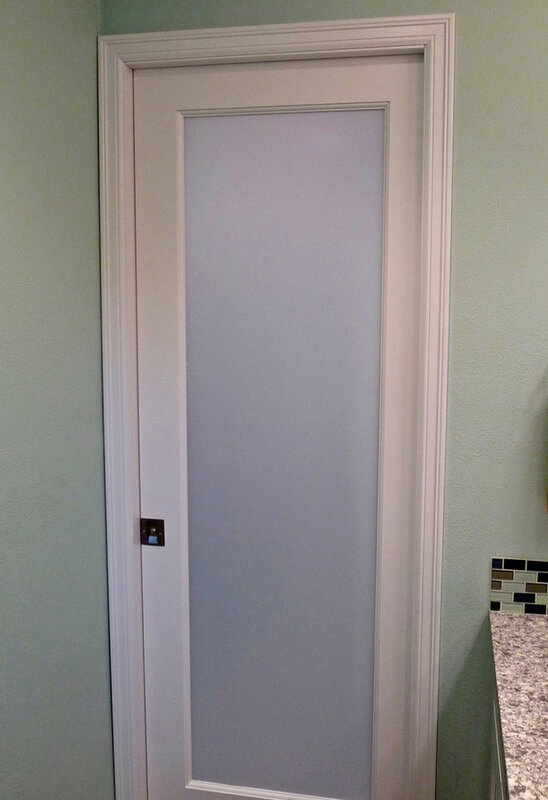 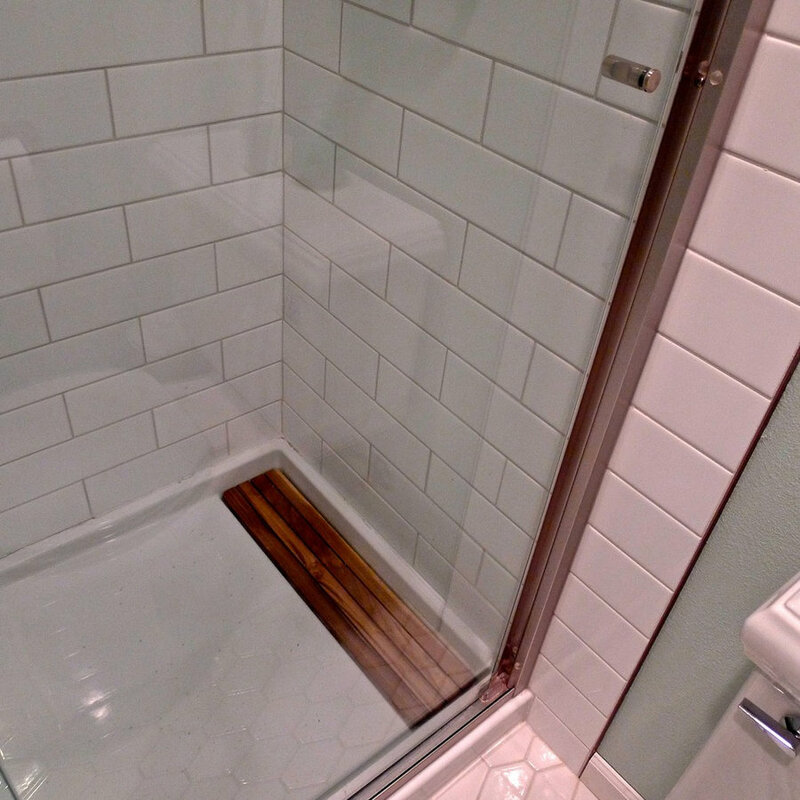 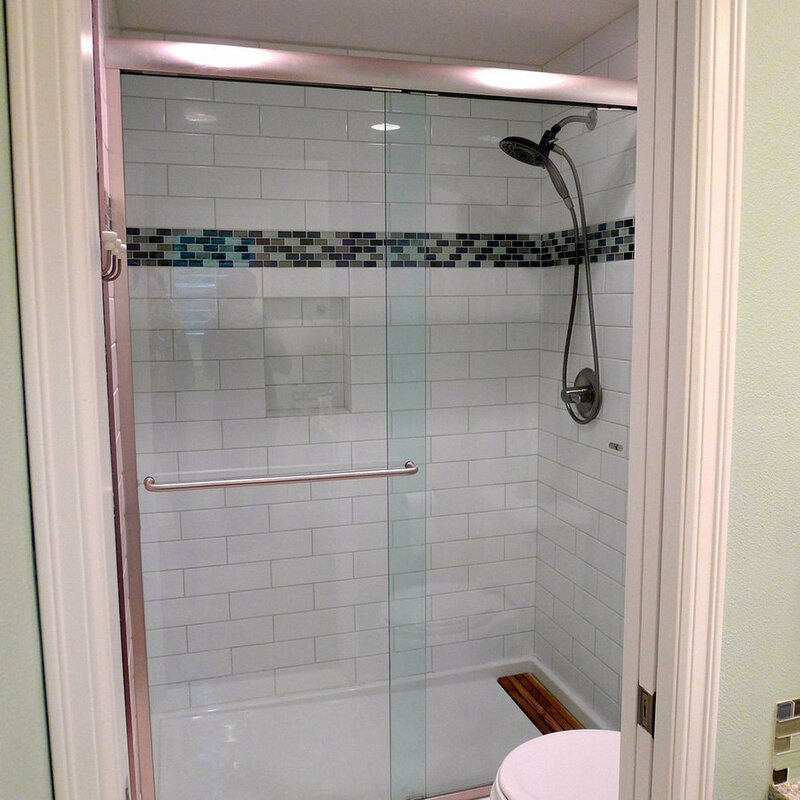 A wall with a pocket door was added to create separation between the vanity and the toilet/shower areas, allowing both kids to happliy co-exist. 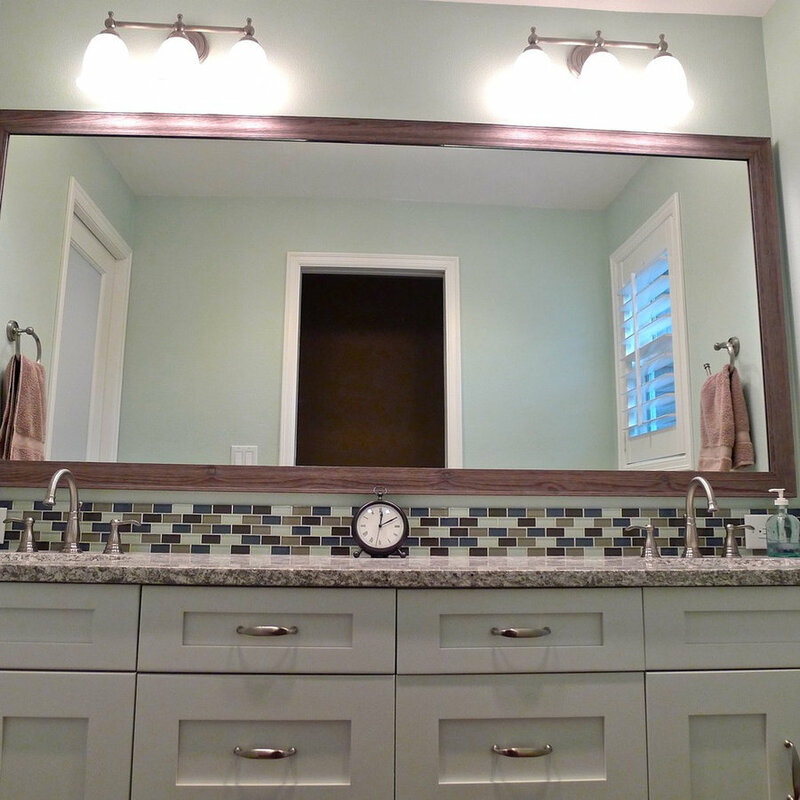 A fresh (and durable) look was delivered with combination of subway, glass mosaic tile and quartz counter tops.